I've been crafting my SYSTEM over the last 25 years and it’s maximized results for countless people all over the globe. The most famous transformation can be seen in the internationally acclaimed documentary "I Want to Look Like That Guy" and the recent "Sequel" to the original film. Have you ever seen a model with rippling muscles selling the latest fitness craze and thought to yourself…. 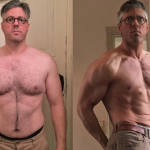 At 42 years old and a 44 inch waist, film maker Stuart MacDonald takes on the challenge to look like that guy in the ad using my proven system. Stuart shows in detail what it actually takes to look like the guy in the ad by living the part and entering a body building contest. Along the way he discovers fitness product claims and photos are the biggest lies since the days when advertisers said smoking was good for you. It’s the greatest documented fitness debunking in history. “I Want To Look Like That Guy” will make you laugh, be amazed and want to get in shape. Finally someone had the guts to give us all permission to relax about our body image. The goal of the 6 pack is over and it’s time lower the bar of expectation to what a healthy body should look like. 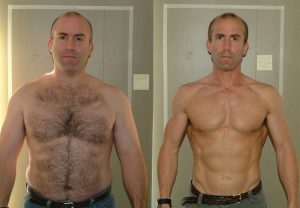 At JeffWilletPremium.com you will learn my system's methods that were used to transform Stuart and you'll also have access to all his nutrition and workout plans. After more than 7 years Stuart MacDonald is back to do a second documentary, "I Want to Look Like That Guy - The Sequel" - Fat and Bloated...again! 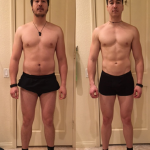 This video shows my body composition results after 23 weeks of coaching, workouts, education and nutrition. I honestly couldn't have done it without the help of Jeff Willet, a true olympian athlete and Team Universe Overall Bodybuilding Champion. 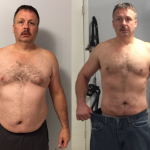 Check out these inspiring success stories from subscribers and One on One coaching clients! Subscribe now to follow along with Stuart as he works to look like that guy once again! The Sequel is video series comprised of 24 episodes and filmed over the course of 24 weeks. Watch the transofmation happen in front of your eyes in the weekly installments. Learn the Max-OT principles that I used which allowed me to go from being a good bodybuilder to a great one, winning multiple national titles and ultimately my IFBB Pro Card. Find the exact nutrition plans followed by Stuart MacDonald in "I Want to Look Like That Guy" and Josh Burger during his transformation. 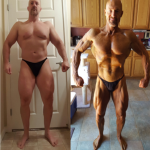 I've helped people all over the globe maximize their body transformation potential by teaching them a proven system that I've been perfecting for over 25 years. You will learn the same principles I used to become one of the world's greatest drug free bodybuilders and I will teach you how to apply them to achieve your physique goals. Two Ways to Enjoy Premium Membership! Exclusive Video Content including Q&A, Body Transformations, Tips, Raw Workout Footage from the peak of my career and fireside chats with my unique perspective on bodybuilding and the fitness industry. Discounts on my one on one coaching service. Subscriber Interaction through the forum section allows you to ask questions, share ideas and communicate directly with me and other subscribers. View and download detailed nutrition plans and workout schedules designed to maximize results. Watch "That Guy Weekly" episodes which include in depth discussions on topics that will help you achieve your goals. "That Guy Weekly" will also follow Stuart MacDonald's progress as he trains to compete in an IronMan contest, answer viewer questions, feature subscriber success stories and much more! Access to all "I Want to Look Like That Guy The Sequel....Fat and Bloated Again!". This sequel was shot in real time. You can See all the videos in sequence of when they happened. This series is complete so you can binge watch and see how Stuart went from the worst shape of his life to competing in an IronMan triathlon. EVEN MORE CONTENT ADDED WITH "THAT GUY WEEKLY" - "That Guy Weekly" will include in depth discussions on topics that will help you achieve your goals. "That Guy Weekly" will also follow Stuart MacDonald's progress as he trains to compete in an IronMan contest, answer viewer questions, feature subscriber success stories and much more! 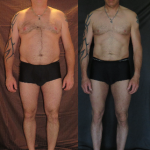 I've helped people all over the globe maximize their body transformation potential by teaching them a proven system that I've been perfecting for over 25 years. As a subscriber to jeffwilletpremium.com I am happy to offer you a special rate on my coaching services for the duration of your subscription. Developed by MangoTail Software, LLC. © 2019 Jeff Willet Enterprises, Inc. All rights reserved.